The US leg of Rihanna’s ANTI World Tour is still going strong. She recently performed in Las Vegas for two consecutive nights to a crowd that included Diplo, Calvin Harris, DJ Mustard, Cheryl Cole and Louis Tomlinson. Here’s a quick look at some of the items she wore backstage to meet with fans. 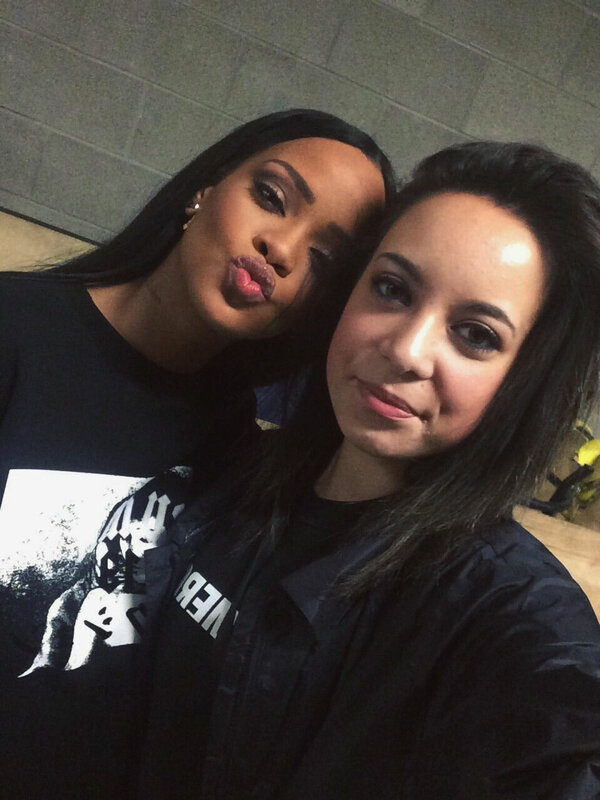 Check the AWT Meet & Greets tag for all previous posts. 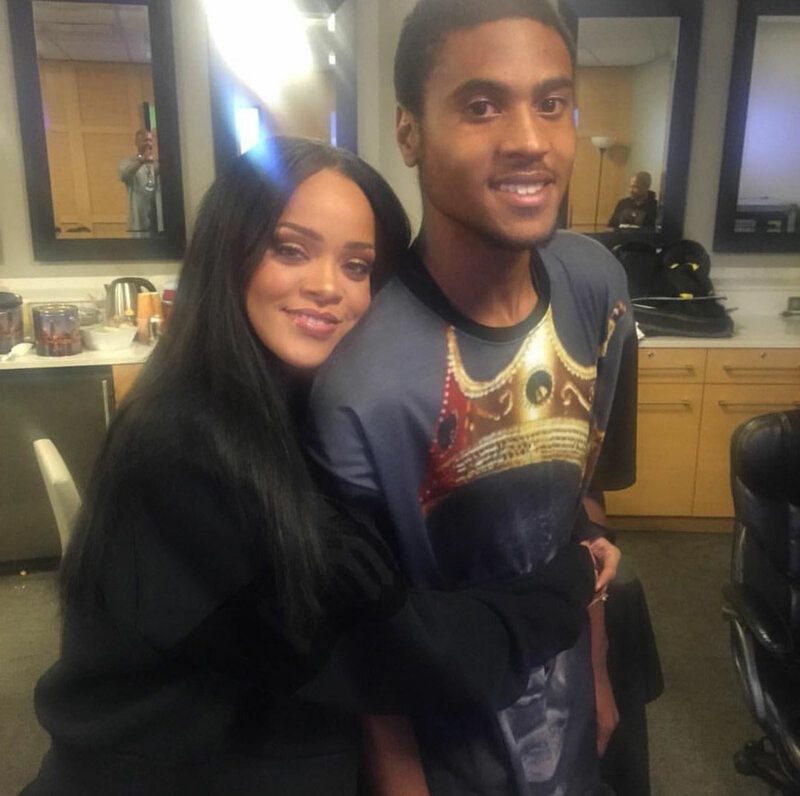 On April 1st, the tour stopped in Chicago and while there Rihanna met up with longtime fan Rodney Jackson, who is the son of actress Holly Robinson Peete. He is one of her biggest fans and he was incredibly happy to meet his idol once again. 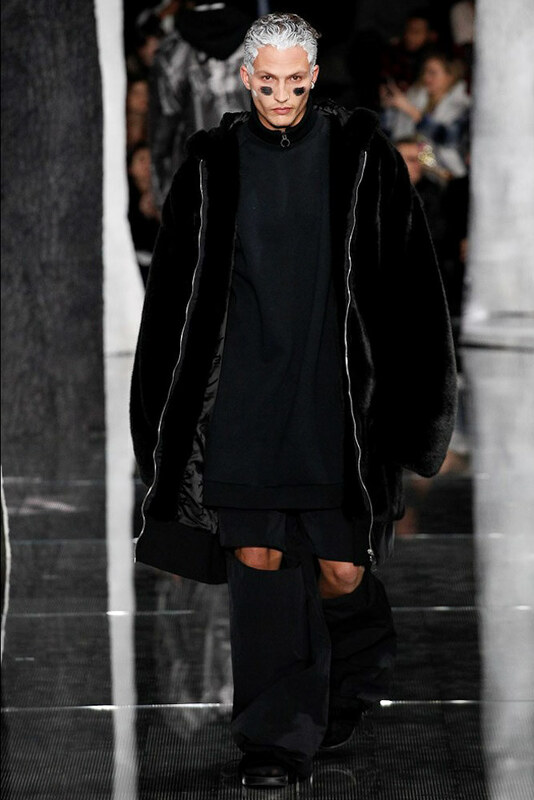 Here the singer wore a sweatshirt from Fenty x Puma‘s Fall 2016 collection. Rihanna previously wore the high neck sweatshirt in New York City. It features an oversize fit, a zip up collar and a Gothic Puma logo on one sleeve. The Fall 2016 collection is expected to hit stores in September. In the above photo the songstress posed with Shannon of The Rih.Up, one of the top fan accounts on Instagram. This was backstage at the Salt Lake City show on April 27th. Rihanna once again wore a piece from her upcoming Fenty x Puma collection. 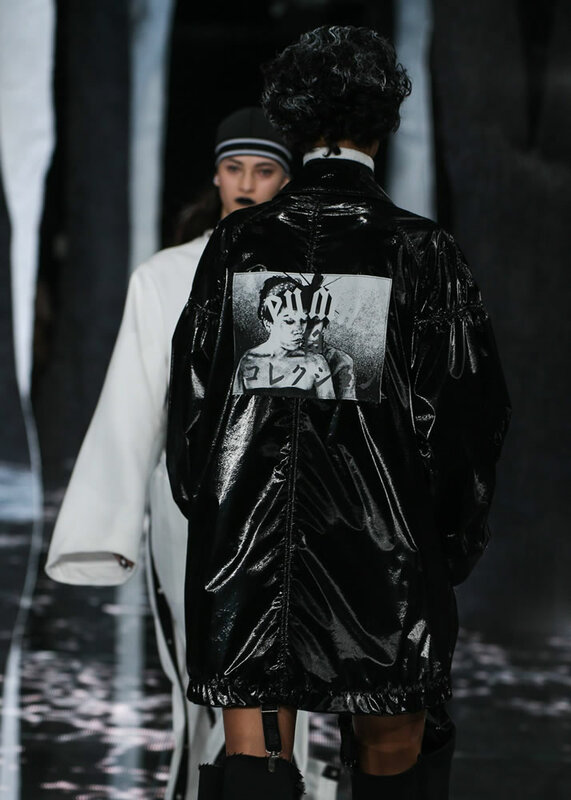 This exact sweatshirt did not go down the runway but the graphic on the front was featured on a couple of jackets inlcuding the one pictured above from Look 20. It’s a photo of two women with a Gothic Puma logo and Japanese writing superimposed on it. As mentioned earlier, this collection won’t be available to purchase until later this year. 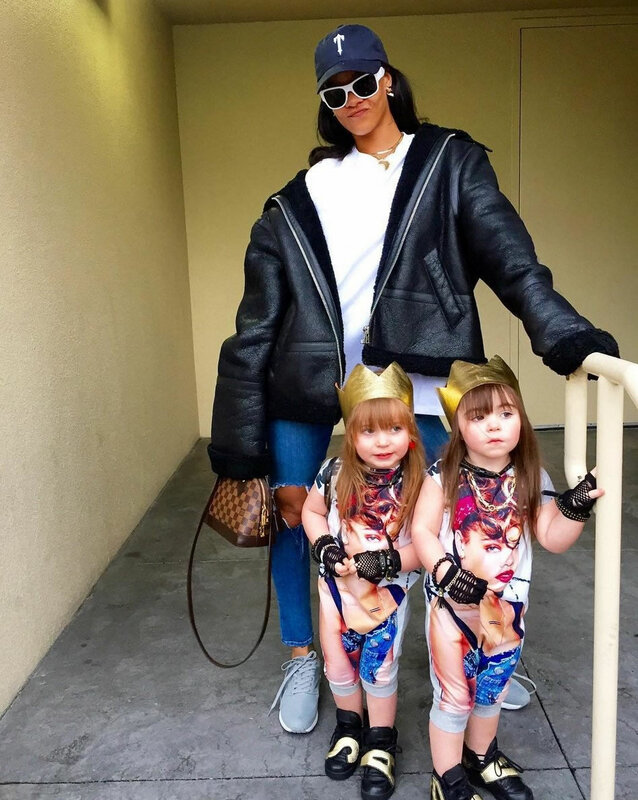 Finally, we have the most adorable picture of Rih posing with two young fans in Las Vegas on April 30th. These two cuties wore crowns to represent the Anti album and rompers printed with a picture of Rihanna from the Talk That Talk era. Who could resist those chubby faces? Check out their Instagram page. Rih wore one of Trapstar‘s Irongate T caps in navy. The six panel hat is embroidered with a “T” on the front and Trapstar on the back. It also features an adjustable strap. She once again rocked her favourite leather and shearling jacket from Vetements, which is sold out, and her beloved Alma BB cross body handbag from Louis Vuitton. She completed the look with a simple white tee, ripped jeans and Puma‘s Aril sneakers in limestone grey. Shop the available pieces below.